Even if Israel were to be offered a perfect deal with the Palestinians, it would represent a surface illusion. With whom would Israel sign that peace agreement? The Palestinian Authority which, as a democratic force in an undemocratic neighbourhood has seen its mandate come and go, and two years after a general election was to have been called, Mahmoud Abbas is still President, his cabinet and himself long past their agreed-upon election mandate. Signing a peace agreement with the West Bank, is at best a wholly notional arrangement, one that the European Union strenuously calls for, blaming Israel for not agreeing to 'peace' with the Palestinians. What peace could there possibly be, when one-third of the Palestinians, governed by the terrorist group Hamas, which has attempted repeatedly to assassinate Arafat, and is pledged to Israel's destruction, refuses the very existence of Israel. In these circumstances, Mahmoud Abbas, representing the 'reasonable', and 'moderate' factions with Fatah and the PLO still agitating against the 'oppression' of the 'apartheid state' that struggles to restrain their cadres from violent attacks against Israeli citizens, has been given protection by the Israeli Defence Forces because his administration, despite its inciting West Bank Palestinians to 'resist' the 'occupation'; code for violence; is the only game in town. Which is to say no game at all. Which hasn't stopped Mahmoud Abbas from blustering and hammering that Israel represses Palestinians' future. Leading him to make his ingress to United Nations' recognition. What Israel does is attempt to protect its population and its state from the depredations of Fatah/Palestinian Authority and the onslaught of Hamas, ever willing to sacrifice Gazans as fodder for the public relations war against Israel, lapped up by the European community. Israel is a veritable ocean of calm in a storm-beset Middle East. A country which, though threatened with annihilation from its enemies, from Hamas to Hezbollah; the Muslim Brotherhood, to Syria; Iran to Qatar, manages to comport itself in a measured response to its existential angst over those very real threats. Whereas it poses no threat to the wider Middle East, it is that wider Middle East that is imploding under the weight of its own ingrained and traditional tribal and sectarian hatreds. Where the Hashemite Kingdom of Jordan has serious concerns about what might occur should ISIS move toward the Jordanian border, even while its sizeable Muslim Brotherhood contingent incessantly plots for the Kingdom's overthrow. Hezbollah forces in southern Lebanon and now on the Golan heights present another formidable challenge, not only to Israel, but to Syria, armed with their stock of advanced rockets courtesy of Iran. Claims that the Israeli-Palestinian unsettled adversarial condition is responsible for all the unrest in the Middle East, and if that trenchant problem were to be solved, then all would be peacefulness and light, have been exploded by the results of the Arab spring. Iran's stealthy, violent and successful spread of Shi'ite power, from its borders into Iraq, stretching into Syria, Lebanon and now Yemen have given it the 'authority' it seeks as the premier conquering caliphate with its distinct Shiite reflection. The Islamic State's rise in response to the Shiite-led expansion with its own caliphate and its surge in horrific atrocities far more public than those equally dreadful performed through state sanctioned public executions where beheadings are the common parlance of Islamic-state punishment, has appalled the world. But it is the entire tinder box of fundamentalist Islamism that has smouldered in the firebox to become a raging conflagration still spreading its toxic fumes. And within that landscape sits the United States' determination to swivel from Sunni to Shiite, making common cause with Iran/Qatar against the Islamic State to aid Iraq and Syria from being wholly consumed, and the spread of Sunni empowerment with its Wahhabist Salafist tenure made permanent. In supporting Qatar and Iran in their conflict with Islamic State and by extension Saudi Arabia and Egypt, Barack Obama has chosen 'sides'. His 'side' now surrenders his country's traditional allies to the desperate position of fending for themselves in a lop-sided situation of choices; which aggressor is the most egregiously inimical to the future aspirations of the United States? Religious fanaticism has overtaken nationalist totalitarianism, and the powerful mentorship of America has made its choice. On February 14, the Islamic State ritually beheaded 21 Egyptian Coptic Christian laborers in Libya. The Islamic State sent me a letter this week, in the form of a short film produced by ISIS's Al-Hayat Media centre. This was not addressed to me personally, but to all Christians everywhere. Its title was A Message Signed with BLOOD to the Nation of the Cross. This was a video of the ritual slaughter of the 21 Egyptian Christians. Their blood flowing in the ocean waves was the 'signature' at the end of the video. I read out these men's names at our morning church services on Sunday, here in Melbourne. And I also choose to honour them by writing to acknowledge the truth about why they were killed, and in particular the explanation given by their killers. I also wish to record, as a Christian and a pastor, my intense protest at the White House official statement of February 15, 2015, concerning this event. This makes no mention of the reason the 21 were killed: their Christian faith. This culpable denial dishonours them, as it dishonours me and Christians everywhere. The White House made no mention of the victims' Christian faith, a culpable denial that dishonours them and Christians everywhere. The White House statement claimed that "ISIL's barbarity knows no bounds. It is unconstrained by faith, sect or ethnicity." Not true. The Islamic State's actions are constrained by its theology, and in this case its targets are also determined on religious grounds; they were Christians. It is not an endorsement of the killer's Islamic beliefs to acknowledge that these jihadis follow a form of Islam, and that their sect and faith does constrain their behaviour accordingly. It is not an endorsement of the killer's Islamic beliefs to acknowledge that these jihadis follow a form of Islam. Obama also stated that 'we must never accept the premise that they put forward, because it is a lie.' This too is nonsense. A lie is a deliberate intention to deceive, and these self-described jihadis are – at least by their own understanding – speaking the absolute truth when they claim to speak for Islam. Some years ago I had the privilege of reading the Gospel at a Coptic service held in St Paul's Anglican Cathedral, here in Melbourne. The service was held to commemorate the 22 martyrs of the attack on Al-Qiddisin Church in Alexandria on New Year's Eve. It was led by Bishop Suriel, Melbourne's Coptic bishop. The Al-Qiddisin martyr's service impressed me deeply. I long pondered the fact that the Coptic church of Egypt has been grieving over the freshly dug graves of its martyred sons and daughters since the dawn of Christianity. As I sat through the service and sung the hymns about martyrdom, I thought, 'So this is what it means to be a Copt'. 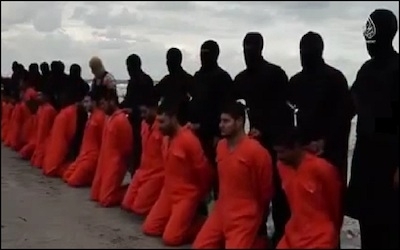 The Islamic State video, a polished production, depicts 21 Christian men, hands bound behind them, being led one-by-one along a beach in Libya to a point where they are forced to bow down with their heads in the sand, and there they are beheaded, crying out Ya Rabbi Yasou 'Lord Jesus! ', some reciting the Lord's Prayer. Severed heads were then placed on top of each corpse, their Muslim slayer standing over them. The final film shots show the Mediterranean washing red with their blood. The whole event was meticulously choreographed and rehearsed. The video's obvious purpose is to humiliate and terrorise Christians, whom it derisively calls, 'The Nation of the Cross'. I admire the courage of the martyrs, who did not disown the name of Christ and the cross to follow Islam, even as they were being mocked and killed by their tormentors. It is indisputable that the whole script of this video is intensely religious. It is packed with references to the Qur'an and the Hadiths of Muhammad. As Graeme Wood comments in an important recent Atlantic Monthly article, the Islamic State adherents are constantly referencing Islam's sacred texts. In their everyday speech, 'Koranic quotations are ubiquitous'. This film is no exception. For anyone who knows anything about Islam it is impossible to view this film without being aware of the heavy constraining influence of the Qur'an and the Hadiths on the script. These references are essential for understanding the true context, meaning and intent of the film. Egypt reacted angrily to the executions, but it has a long track record of not prosecuting Muslims who massacre Christians within its borders. The Egyptian government reacted angrily to the executions, bombing Islamic State positions inside Libya. Egypt was incensed about this massacre – and rightly so – but it has a very long and enduring track record of not prosecuting Muslims who have massacred Christians within its own borders. General Al-Sisi is a leader who has been complicit in this peculiar form of Muslim cowardice. This moral inconsistency is causing great division and confusion among Copts at the present time. My comment after the Al-Qiddisi massacre in January, 2011, remains as valid now as it was then: I deplore the lack of freedom of religion in Egypt, the authorities' apparent unwillingness to protect the indigenous Christian minority and its places of worship, and the lamentable track record of the Egyptian justice system in securing criminal convictions against those who have targeted Christians for attack. I call upon Egypt's leaders to respond to these abuses honestly and with integrity, without making excuses or indulging in denial. Jerusalem, which is, regrettably, subject to the worst forms of Judaisation today, stands witness to fourteen centuries of deep, solid and fraternal relations between Muslims and Christians, enhanced by the Pact of Omar [ibn al-Khattab], and promoted by my grandfather, Sharif Hussein bin Ali, may God bless his soul. The highest legal authorities of the Islamic mainstream continue to assert the right of Muslims to kill those who leave Islam. The problem is that as long as Muslims allow derogatory words like mushrik (associator, polytheist) and kafir (infidel) to be applied to Christians, while also preaching Qur'anic verses that denigrate non-Muslims, the hostility and hatred can only continue. As long as the highest legal authorities of the Islamic mainstream continue to assert the right of Muslims to kill those who leave Islam, bursts of extreme religious hatred such as we have just seen in Libya can only continue. As long as Muslims claim that the well-documented brutal slaughters of Islamic conquest and the ensuing oppression of nations under the Islamic system of dhimmitude were a mercy to the world, the 'opening' up (al-futuh) of dark nations to light and truth, hatred towards non-Muslims will continue to arise in the house of Islam. For you I have no hate, only pity. You wield the sword to kill ideas and worship you do not understand, but you do this in vain. The truth cannot be killed by your knives. "[The Islamic State represents] a new type of terrorist organization with unique funding streams." "[We plan to] immediately review whether all [its] members have implemented measures to cut off terrorism-related financial flows." "The report demonstrates that ISIL is essentially living off the capital illicitly generated by the territory it occupies, primarily by looting banks, exploiting oilfields and robbing economic assets." "ISIL can be stifled by frustrating its ability to generate funds from these activities and by preventing it from obtaining funds from other sources and activities." Governments that are identified as failing to do their utmost to staunch the flow of cash to Islamic State have been given due notice that they will be pressured to take immediate remedial action by the global agency set up to represent the international community's dedication to fight terrorist financing and money laundering. All 36 of its members are required to freeze terrorists' assets and to ensure it is illegal within their jurisdictions to finance terrorists. The Financial Action Task Force is preparing to "put pressure on any country that has failed to implement these measures". And what then of countries which are careful themselves to adhere to the agreed-upon measures, but which nonetheless maintain cheerfully close relations with other countries not part of the pact and therefore free to continue contributing to the well-being of Islamic State -- like Turkey, like Qatar? Take, for example, President Obama's beyond-courteous display of friendliness with a country that is well known to promote the activities of terrorist groups, like funding Hamas, and Islamic State, yet the emir of Qatar is honoured at the White House. What does this say for American commitment to the global goal of stifling Islamic State through cutting off its funding? Mind, the U.S. and Qatar mutually befriend another terrorist group, the Muslim Brotherhood. Since the warning was issued with the specific purpose of warning Gulf states such as Qatar, which the US. itself has accused of failing to crack down on Islamic State financiers, the meeting at the White House three days earlier appears mystifying indeed. Is this an instance yet again of the Obama administration stating an unequivocal position, and then surrendering it at the earliest occasion? Turkey is another member of the Financial Action Task Force. And it is well enough known the viral antipathy that President Erdogan has taken to President al-Assad's campaign against Syrian Sunnis who had protested their status of an oppressed majority under the Alawite minority regime. Turkey is also known to have financed Islamic State operations, as well as those of Hamas, and it permits itself to be used as an entry point for those jihadis eager to join the Islamic State in Syria. The U.S. Treasury had calculated that Islamic State looted a half-billion dollars from state-owned banks in Mosul alone when it flooded the city with its militias as Mosul was left undefended by fleeing Iraqi troops. The oil refineries Islamic State 'caliphate' now operates, selling their production on the black market earns it another $100 million annually from the sale of oil and oil products. And add in another $20 million for ransoms of Westerners; those that aren't horribly mutilated and slaughtered whose countries will bargain with terrorists for the release of their nationals, exempting Britain and America. And the sale of looted architectural and archaeological treasures in the West demanding huge amounts of cash in exchange for black market sales of artefacts that legitimate collectors and national museums refuse to touch. The Islamic State must qualify as the best-funded terrorist group that history has ever seen. It has its state and non-state backers handsomely funding its atrocious activities and aspirations. And the mass looting it is involved in remains capable of gains advantaging its positioning in its long-range plans of occupying ever-large geographic areas of the Middle East, killing and destroying as it proceeds. The indirect aid given it by those countries sworn to defeat the Islamic State and its purpose, along with the discreet direct aid advantages its course of action. A situation that all countries signing on to the global pledge should be aware of, yet the leading country that has dedicated resources and ostensibly is geared to defeat ISIS, has been hobnobbing with those countries funding it, instead of remonstrating and demanding compliance. "These guys were fighting here. I don't know what for. They were following the orders of their president, and they respected that order." "We all are military men here and we have to respect our enemy." "I recognized them from their clothing. They were my friends." Sasha is among those Ukrainian military prisoners of war who have been given the task, or who have volunteered for the grimly necessary task of digging beneath the ruins of the destroyed airport building outside Donetsk, to uncover and recover the frozen remains of Ukrainian soldiers who died in the collapse of the building under relentless shelling from the militias representing the Donetsk People's Republic. A Ukrainian official had notice that seven Ukrainian soldiers have thus far been retrieved. According to representatives of the secessionists many more soldiers remain buried under the collapsed building. Sasha witnessed two of his friends being drawn out of the debris from among the twisted steel beams and smashed cement walls being sawed into pieces and towed away even as the emerging bodies were being carried off, contorted not in rigor mortis only but by the cold when life left their bodies. Neither Kyiv nor the Donetsk People's Republic has revealed the number of captives each hold. Journalists saw roughly twenty-five government prisoners working at the airport to release the bodies of their dead compatriots. Last weekend 52 rebels held by the government in Kyiv were returned to the rebels in exchange for 139 captured Ukrainian soldiers. All this, amid the emerging news that a Russian Oligarch who has been known to fund the rebels, many of whom were former employees of his before becoming movers-and-shakers in the Donetsk People's Republic, had furnished a report given to the Kremlin with the advice that it should annex Crimea along with a large part of southeastern Ukraine, long before the fall of the government of president Viktor Yanukovych. The report in the form of a memorandum predicted the overthrow of the Russian-backed government, recommending Russia make the effort to take both Crimea and eastern Ukraine. A detailed strategy is carefully laid out in the memo, its details tracing in advance the actual steps that were taken with the fall of the Russian-backed government in Ukraine. Anticipating that Ukraine would break into an EU-aligned west and a Russian-leaning east, Russia it held, should take the initiative. "The dominant regions for the application of force should be Crimea and the Kharkiv region", stated the memo. The Russian oligarch Konstantin Malofeev, according to Novaya Gazeta which had revealed the contents of the memo, has denied being behind any of these machinations. Russia, according to the memo, should take advantage of the "centrifugal forces" of social unrest and polarized politics to merge the east with the rest of Russia since the country would be torn apart in any event. And in the event, it was. Thanks largely to Russian direct malicious intervention. An Iranian opposition group has exposed the existence of a secret uranium enrichment site in Iran that has been operating since 2008. Satellite image of Iran's secret Lavizan-3 nuclear facility as revealed by satellite maps. An Iranian opposition group has disclosed the existence of a secret uranium enrichment site in Iran that has been operating since 2008. The revelation comes as the U.S. and Iran come close to an "historic compromise" on its nuclear program ahead of a March 31 deadline for a deal. The National Council of Resistance of Iran (NCRI), a controversial opposition group, is known for its expansive intelligence network inside Iran that regularly delivers detailed information about the regime’s secret activities. In 2002, NCRI exposed that Iran had a secret uranium enrichment facility at Natanz and was building a heavy water reactor at Arak suitable for making plutonium-based nuclear weapons. The Iranian regime was forced to admit their existence and the International Atomic Energy Agency (IAEA) has inspected the sites. The specifics contained in the NCRI’s report give it credibility because they make the report easy to either verify or debunk. The report pinpoints the hidden nuclear site with satellite photography, explains its internal structuring and shows the entrances as well as the location of an elevator to access a 200-meter underground tunnel. There’s even an up-close photograph of one of the shielded doors used at the site to conceal radiation. The secret site is called Lavizan-3 and is operated by the Ministry of Intelligence and Security. It is within a military compound so that the regime can declare it off-limits to IAEA inspectors. Construction of the site began in early 2004 and is believed to have finished in 2008 or around that time. According to the group’s sources inside Iran, the site is used for enriching uranium and building, testing and installing advanced centrifuges that enable Iran to produce the uranium for a nuclear bomb more quickly. The centrifuges at this location are of the IR2, IR3 and IR4 types. These centrifuges can potentially cut the time needed to make bomb-grade uranium from low-enriched uranium in half, from 18-24 months to 9-12 months. NCRI also listed the names of key personnel involved in the hidden site. One of them is Morteza Behzad, an engineer involved with the Fordo uranium enrichment site that is buried 300 feet underground and was exposed in 2009. The Treasury Department sanctioned him in 2012. The Lavizan-3 site can only hold 3,000 centrifuges, making it unsuitable for an a civilian energy program but entirely suitable for nuclear weapons creation. Four top nuclear experts said earlier this month that they now consider Iran to be a nuclear-ready state, warning that Iran poses an Electro-Magnetic Pulse threat to the U.S. and its satellite launches show that it has intercontinental ballistic missiles capable of reaching the U.S. The IAEA confirms that Iran is still not being transparent about its nuclear activity. The agency’s September 5 report stated that Iran is still denying inspectors access to the Parchin site where the regime is believed to conducted research inarguably related to nuclear weapons. The regime also continued to deny that it has worked on nuclear warheads and has not adequately addressed the IAEA’s evidence. The International Committee in Search of Justice, an organization the Iranian opposition, also released an extensively detailed report on November 20. It outlined 10 nuke-related activities by the Iranian regime that it has not admitted to or clarified. It is important to note that the Iranian regime has a history of hiding its nuclear facilities and only disclosing them once they are caught. Dr. Peter Vincent Pry, a top nuclear expert, told the Clarion Project that “it is not easy to detect a clandestine program,” and it is “virtually impossible to detect the development of a gun or implosion detonation system.” A U.S. intelligence official commented to the Daily Beast that you could hide a uranium enrichment site inside a warehouse, and it would not give off the detectable “signatures” that would reveal its existence. The disclosure of a hidden site is to be expected. After all, Iran’s “moderate” President Hassan Rouhani previously boasted of expanding the country’s nuclear program through deception. Its major nuclear sites are only known because they were discovered -- not because of any interest by the regime in transparency. The U.S. government has yet to officially comment on this breaking news about the Lavizan-3 site. The wrong approach would be to dismiss the report if the CIA lacks verification. However, the “absence” of evidence is not evidence of absence. Any realistic nuclear deal with Iran would require unfettered access to all suspected nuclear sites by IAEA inspectors. The U.S. should insist on this now. If the Iranian regime is seriously interested in a deal, then it will open the doors to Lavizan-3 and prove its sincerity. Many Arabs and Muslims see the meeting between Obama and Qatar's al-Thani as a gift to Qatar for its continued support of Islamic radical groups across the Middle East, including Iraq, Syria, Egypt, Lebanon and the Gaza Strip. On the eve of Obama's meeting, Egyptian sources revealed that Qatar was providing weapons and ammunition to members of the Islamic State in Libya. The sources said that 35 Qatari aircraft were involved in transferring munitions. Arab political analysts are also concerned about Obama's ongoing attempts to appease Iran, which continues to expand its presence in Arab countries such as Yemen, Iraq and Lebanon -- as well as in Syria, where it is deeply involved in backing Hezbollah and operating along the border with Israel. A Reuters report revealed that Iran also has hundreds of advisors in Iraq. Qatar is also one of the biggest funders of Hamas, whose leader, Khaled Mashaal, is based in Qatar's capital, Doha. During the past few years, Qatar has provided Hamas with hundreds of millions of dollars -- money used to purchase and develop weapons to attack Israel. By the time Obama leaves the White House, Iran will most likely be in control of more Arab countries, and Qatari-backed terror groups will be much stronger. Obama was quoted as saying that "Qatar is a strong partner in our coalition to degrade and ultimately defeat ISIL. We are both committed to making sure that ISIL [ISIS/Islamic State] is defeated, to making sure that in Iraq there is an opportunity for all people to live together in peace." Obama's decision to host the emir of Qatar and his ensuing statements in praise of the emirate's role in "combating" the Islamic State have drawn sharp criticism from the Egyptians and other Arabs and Muslims. The meeting came less than a week after the Egyptian envoy to the Arab League, Tareq Adel, accused Qatar of supporting terrorism. In response, Qatar recalled its ambassador to Cairo for "consultations." The latest crisis between Cairo and Doha erupted after Qatar expressed reservations about Egypt's airstrikes against Islamic State targets in Libya in retaliation for the beheading of 21 Egyptian Coptic Christians. On the eve of Obama's meeting with the emir, Egyptian sources revealed that Qatar was providing weapons and ammunition to members of the Islamic State in Libya. The sources said that 35 Qatari aircraft were involved in transferring weapons and ammunition to the terror group. Egyptian President Abdel Fattah el-Sisi and his regime consider Qatar to be one of the main supporters and funders of Islamic terror groups. They believe that without Qatar's support and money, Islamic terror groups would not have been able to launch numerous attacks on Egyptian soldiers in Sinai, and Hamas would not be in control of the Gaza Strip. Sisi is expected to travel to Saudi Arabia next week to hold urgent talks with King Salman bin Abdel Aziz on the crisis between Egypt and Qatar. According to reports in the Egyptian media, Sisi is also expected to complain to the Saudi monarch about Obama's support for Qatar at a time when Egypt and other Arab countries are engaged in fighting Qatari-backed terror groups. The government-controlled media in Egypt is now full of articles and cartoons strongly denouncing Obama's policy toward Qatar. Such attacks on Obama could not have surfaced in the media had they not been approved by Sisi and his top aides in Cairo. One cartoon, for example, features Obama standing next to the emir of Qatar at a press conference and declaring, "We have recalled our emir from Qatar for consultations." This cartoon is intended to send a message that Obama and the Qatari emir, a major supporter of Islamic terrorism, are buddies. Writing in the Al-Makal newspaper, columnist Ahmed al-Faqih launched a scathing attack on Qatar and the US in an article that carried the title "The Qatari dwarf that feeds the ISIS monster." Another columnist, Ahmed Musa, wrote that Qatar, "which is allied with Israel and the US," was being used to fight Arab countries such as Egypt, Saudi Arabia, the United Arab Emirates, Libya and Syria. "Qatar us conspiring against Egypt to serve the interests of terror groups and organizations," Musa said, noting the close ties between the Qataris and the US Administration. "The Qatari regime has aligned itself with the murderers of the Muslim Brotherhood and the terrorists of Islamic State and Al-Qaeda, and is paying them billions of dollars." Arab political analysts are not only concerned about Obama's close relations with Qatar, but also his ongoing attempts to appease Iran. They argue that what is needed now is a serious US policy to counter terrorism, as well as a new and harsh approach toward Iran. As Obama was welcoming al-Thani, Qatar continued to face charges of supporting Islamist groups. The Egyptians say Qatar provides "financial, logistical and media support for terrorist leaders." In Iraq, hundreds of military advisors from Iran are operating, according to a Reuters report. 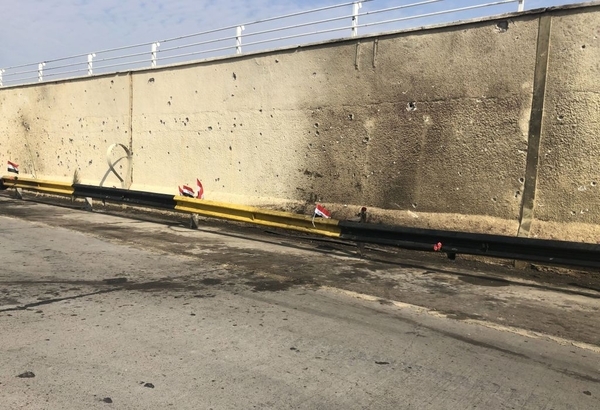 The report quoted Iraqi officials as saying that Tehran's involvement is driven by its belief that Islamic State is an immediate danger to Shi'ite religious shrines. The Iranians have helped organize Shi'ite volunteers and militia forces to defend Iraq against Islamic State terrorists. "The Islamic Republic of Iran has helped Iraq, Syria, Palestine and Hezbollah by exporting the technology that it has for the production of missiles and other equipment," Revolutionary Guard Air Force commander Brig. Gen. Amir Ali Hajizadeh was quoted recently. By the time Obama's term in office ends, Iran will most likely be in control of more Arab countries, and Qatari-backed terror groups will be much stronger, killing more Muslims and non-Muslims. "Ukraine has not made prepayment for gas on time." "[Given the time required for Kyiv to make payment it] will result in a total end to supplies of Russian gas to Ukraine in just two days, which poses serious risks for gas transit to Europe." "The four of us [Britain, France, Ukraine, Russia; ceasefire negotiators] are calling for strict implementation of all the provisions in the Minsk agreements, starting with a total ceasefire and the complete withdrawal of heavy weapons." "Russia is engaged in a rather remarkable period of the most overt and extensive propaganda exercise that I've seen since the very height of the Cold War." "And they have been persisting in their misrepresentations -- lies -- whatever you want to call them about their activities there to my face, to the face of others on many different occasions." Europe, however, should be accustomed to it. It's certainly not the first time a European winter has been disturbed by Russia's squabbles with Ukraine over gas pipeline transmission. Ukraine has even been accused in the past of siphoning off gas for its own use that was meant for Europe. And Moscow has cut gas shipments in the past, throwing its weight around, short-changing Ukraine and the European Union countries in bullying braggadocio. Ukraine is to be made abysmally miserable by all and any means possible for its flagrant disregard of Russia's wishes. Ukrainian President Petro Poroshenko is not to regard himself as an equal of President Vladimir Putin, not in executive governance, not in military matters, not in the oblivious belief in international respect of sovereignty issues, not in matters of trade, and certainly not in the game of one-upsmanship. The vulpine Putin reigns supreme. Estonia, Lithuania and Latvia, looking on in horrified trepidation for their own sovereign integrity and future with Russia, take the example being made of Ukraine seriously indeed. Leading Lithuania to restore compulsory military service for young men beginning September. The military plans to enlist three thousand men aged 19 to 27 for nine months of service to increase its troop strength over a five-year period. Before joining NATO it had 39,000 troops to its current 15,000. Ukraine has protested it has paid for all the gas it requested for this year, along with an additional 287 million cubic metres not yet having been ordered. Accusing Russia of violating an agreement under which Ukraine paid $3.1-billion in past gas bills leading Gazprom to resume supplies on a prepaid basis. That was Ukraine's reasonable understanding of the agreement signed in October. Ukraine expected it would be fully supplied through the winter. Expectations don't always match reality, and the reality of the situation is that Russia has delivered gas to the regions in eastern Ukraine now under rebel control. And it is counting those deliveries toward the total that Kyiv purchased in advance. Moreover, Gazprom stated it plans to supply natural gas directly to the Donetsk region and Luhansk since the Ukrainian government had shut off supplies. Who ever heard of a country charitably supplying energy to its territorial violators? Ukraine, just as well, had already taken steps to reduce its Russian gas dependence. Signing a deal with Slovakia for gas already bought in Europe through a reverse piping of gas to Ukraine. And Ukraine has also bought gas from Norway as an alternative source. Europe as well has reduced its dependence on Russian gas through other suppliers, building up reserves in anticipation of just such contingencies. As for the battlefield of violent conflict; Ukrainian military spokesman Lt. Col. Anatoliy Stelmakh stated that the rebels had shelled the town of Popasna seven times, launching one barrage on the village of Luhanske, and had also attempted to storm Ukrainian positions near the southern village of Shrokyne, close by the strategic Azov Sea port of Mariupol. The separatists claim they have moved some heavy weapons back from the front line. Who're you going to believe? Pro-Russian separatists drive tank on road from Donetsk to Novoazovsk, Eastern Ukraine on Tuesday. Recently Al-Jazeera has been broadcasting a "documentary" series glorifying Hamas and the Izz al-Din al-Qassam Brigades, its military-terrorist wing. The entire series is devoted to idealizing Islamist terrorism and encouraging mass-casualty terrorist attacks against Jews, in the name of radical Islamist ideology. One of the stars is the Palestinian arch-terrorist, Abd al-Karim al-Hanini, who was released from prison in Israel and found safe haven in Qatar. No one has even tried to prevent Qatar's participation in a global anti-terrorism forum. 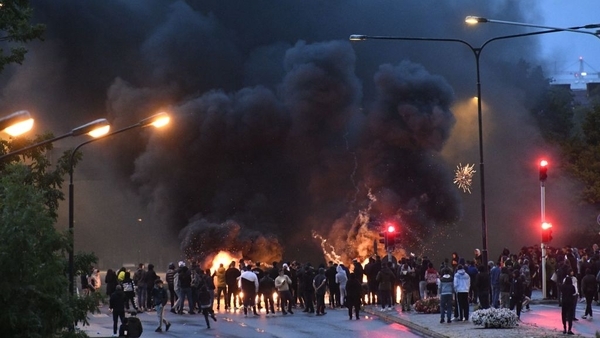 The EU and the U.S. have recently been holding meetings in Brussels and Ankara with Turkey and Qatar, two of the major funders of terror groups, to form an "anti-terrorism task force" -- while the very Islamists they support have been spiritedly spreading out. Turkey and Qatar have even agreed to help fight ISIS, apparently on the condition that the Turkish-trained forces also try to unseat Syria's President, Bashar al-Assad. Turkey, under the leadership of President Recep Tayyip Erdogan and his Muslim Brotherhood-affiliated AKP Party, has been a supporter of terrorists, such as Hamas and ISIS. Meanwhile, Qatar's TV channel, Al-Jazeera, regularly incites terrorism against Egyptian President el-Sisi's pro-Western regime. El-Sisi's heroic pro-Western stance is apparently unreciprocated: the U.S. State Department just hosted an official meeting for his arch-enemy, the Muslim Brotherhood, father of Hamas, while Al Jazeera -- in Arabic -- encourages terrorist attacks in Egypt and Sinai Peninsula by the Muslim Brotherhood, and preaches the destruction of Israel, non-stop. It was Al-Jazeera that created the "Arab Spring" by twisting a story about a Tunisian fruit-seller, who set himself on fire because he could not get a work permit, into a story of Tunisian oppression. The station ran the story again and again, whipping up Tunisians to overthrow their secular leaders and bring in Islamist leaders. To the Tunisians' credit, like the Egyptians, after a few years of Islamist rule, they also threw the Islamist leaders out. Recently, Al-Jazeera has been broadcasting a "documentary" series glorifying Hamas and the Izz al-Din al-Qassam Brigades, its military-terrorist wing. The entire series is devoted to idealizing Islamist terrorism and encouraging mass-casualty terrorist attacks against Jews, in the name of radical Islamist ideology. One of the stars of the series is the Palestinian arch-terrorist, Abd al-Karim al-Hanini, who was released from prison in Israel and found a safe haven in Qatar. He explains how to construct explosives from agricultural substances, such as chemical fertilizer and sulfur; how to fill an empty gas balloon with the explosives, and how to detonate the bomb mechanically, electronically or with a suicide-bomber (shaheed), in order to kill as many Israelis as possible. Al-Hanini boasts about his terrorist activities killing Israeli civilians and soldiers, and details tactics that mujahideen will use in their jihadi "inner struggles," and presumably also their outer ones. These tactics can be used as blueprints by future terrorists. The series can easily be viewed by all intelligence agencies in the world, but so far no one has tried to prevent it from being broadcast -- or has even criticized Qatar for broadcasting it. Suleyman Shah was a tribal leader and grandfather of Osman I, the founder of the Ottoman Empire which lasted for six centuries. Travelling through what is now Syria around 1236, Shah, as the legend has it, fell from his horse, drowning in the Euphrates close to the site of his tomb. It is believed that followers of the Shah travelled into modern-day Turkey where Osman I founded the empire in 1299. Turkey signed a treaty with France at a time when it ruled Syria in 1921, the Treaty of Ankara which granted Turkey the land -- sitting across the border from Turkey in Syria -- surrounding the tomb. That small area spitting into Syria has been considered part of Turkey ever since, much as an embassy in a foreign country is considered by internationally-recognized convention to represent the territory of that country represented by the embassy. Turkey's sour relations under President Recep Tayyip Erdogan with Syria's President Bashar al Assad related to the civil war there, reflects in part Turkey's similar critical view of Kurds whose longtime quest for a homeland of their own that would encompass part of Turkey, Syria, Iraq and Iran has garnered enmity for the Kurds. In the sectarian wars raging within the Middle East, the Syrian Shiite Alawite regime's brutal assault on its Sunni majority (echoed in Iraq) has deeply offended the Sunni Turkish government. Leading Turkey to give haven and support to the Islamic State of Iraq and al-Sham in its no-holds-barred-by-humanitarian-concerns battle against Shi'ite Muslims and Christians and other minority ethnic and religious groups, even as a member of NATO. A more polarizing conflict of interests would be harder to find. When, as a NATO member, Turkish troops sat immovable on the border between Turkey and Syria while ISIS was slaughtering Kurds for possession of Kobane, its actions were universally condemned. Now, however, Turkey saw fit to send 600 Turkish troops backed by tanks and drones into Syria to 'rescue' dozens of Turkish soldiers standing guard over the tomb of Suleyman Shah. Archaeological artefacts memorializing Turkey's Ottoman Empire crucible were worth defending and protecting, but not helpless Syrian Kurdish civilians whose town ISIS was devastating, and whose Kurdish defenders were undermanned and under-weaponized. Vacating the Mausoleum of its contents, the Turkish troops exploded the building itself, to prevent its use by jihadists. Suleyman Shah's new resting site sits in the Syrian district of Eshme, about 650 feet from the Turkish border. Once a new Mausoleum has been erected the archaeological remains will be interred there. The danger was that the terrorist jihadi group that Turkey gave haven to would destroy the tomb as they have done other religious sites whose presence offends them. The final passage in this unsavoury message of Islamist dysfunction is that it was only after Kurdish forces succeeded with the aid of NATO airstrikes in taking Kobani, forcing the ISIS forces' withdrawal, that the Turkish military was enabled to enter Syria; through Kobani no less. Turkish soldiers coordinated their passage through the kindly auspices of Enver Muslim, leader of a Syrian Kurdish group controlling Kobani. The Kurds are capable of extending such courtesies denied them by the Turks who view the People's Protection Units of the Syrian Kurds representing an extension of Turkey's Kurdistan Workers Party, which it has designated a terrorist organization. A sovereign territorial threat merits the designation of terrorism, but not ISIS whose credentials as a jihadi terrorism fount of brutal atrocities cannot be sufficiently abhored. "They were seen in Tal Abyad yesterday. They were travelling with a Syrian male in a private car. They were using Syrian identity cards." "We understand that after arriving in Istanbul the girls met an [ISIS] member who is charged with helping foreigners who want to join the group." "They are in Istanbul and are trying to reach a town on the Turkish border to cross into Syria. There is someone coordinating with them. A smuggler. They can't move by themselves." "On this particular occasion we weren't notified that these girls were travelling. If we had been notified then we might have been able to intervene." "I told her [sister] that if you need anything from us just let us know and she said that all they need is our prayers and she started crying." There you have it, Turkey's interests colliding with that of another NATO member. Within Turkey Syrians can operate freely if they are not committed to the regime of Bashar al-Assad, now in bad odour with Turkey's Islamist Erdogan, but rather operating on behalf of ISIS. And ISIS members too are given free reign to move about with impunity, given a theatre out of which they may facilitate moving new recruits to their jihadist campaign into Syria. And in London, relations between mosque and government security is so fragmented that even when it should be obvious that a family is frightened and concerned over the fate of one of their members attracted to ISIS's invitations to present as brides for mujahadeen, that when three teen-age girls decamp ostensibly without their families' knowledge to fly to Turkey for passage through to Syria and marriage with ISIS members, no one has been alerted to pre-empt their plans. Three young girls from Bethnal Green Academy in East London being the object of an international search to discover their whereabouts before they are swallowed into the jihadist swamp, but with little hope they can be recovered at this juncture. Shamina Begum, 15, Kadiza Sultana, 16, and 15-year-old Amira Abase for whom the exploits of a school chum who had previously made the trip seemed irresistible to them as well, crossed into Islamic State of Iraq and al-Sham-controlled Syria. These "grade A" pupils have now been a week into their adventure, from Gatwick airport, on to Istanbul, and finally into the embrace of Islamic State in Syria; fodder for the upcoming generation of newborns who will populate the looming, growing caliphate whose expression is the fervent desire of Islamist expansion and global conquest. Neither Scotland Yard nor Turkish Airlines, let alone the U.K. Border Force had been alert to the girls' adventure. Yet one of the girls' older sister had expressed concerns over what she discerned as unusual behaviour, and she did so in her approach to the East London Mosque. She obviously found little interest, let alone alarm or assistance from that source. 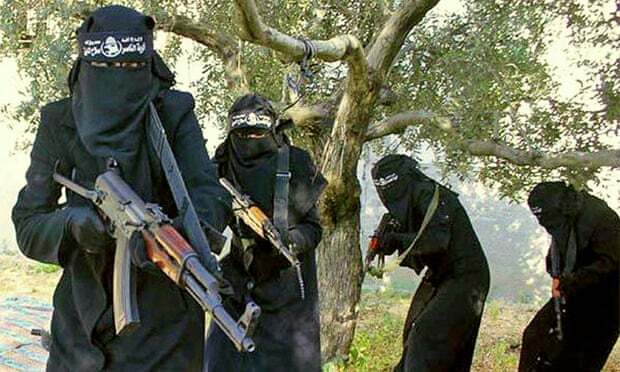 And once in Istanbul the network of ISIS "representatives" active there were more than capable of preventing detection of the whereabouts of the three girls, finally expediting their travel to Syria. Abase Hussen, father of Amira, expressed his family's grief, that the family "cannot stop crying". And, he pleaded with his daughter, somewhat tardily, "The message we have for Amira is to get back home. We miss you. We cannot stop crying. Please think twice. Don't go to Syria." "They are Ukrainian citizens, [Kharkiv peace march bombers] who underwent instruction and received weapons in the Russian Federation, in Belgorod." "The plan was signed last night. ... Starting from today there are two weeks to withdraw heavy weapons." Vladimir Putin's mission is coming close to accomplishment. At least one part of his mission. To prevent Ukraine from signing that Association Agreement with the European Union. His plan for Ukraine is to have it join the Eurasian Economic Union. An economic union primarily and certainly initially, but meant to morph eventually into the political and security organization that will bear quite a resemblance to a previous one, called the USSR. Nor would he wish Ukraine to come anywhere near joining NATO. Once before NATO refused Ukraine's expression of interest in joining it. And nor are the major powers invested in NATO too terribly keen on Ukraine's expressed interest. Given Moscow's equally expressed interest that Ukraine not become part of NATO. Had it been heretofore, imagine the consequences of the stealth Russian military incursions into Ukraine, let alone Mr. Putin's casual annexation of Crimea. So the standoff between Russia and NATO, Russia and the EU (more a caricature of European queasiness in economic uncertainty) will continue yet awhile, while the Baltic nations fidget with fear over possible implications for them in Mr. Putin's clear expansionist ambitions. Ukraine has remained resistant to Moscow's plan that the Donbas now partially controlled by the rebels (Putin's proxies) have a veto on Ukrainian foreign policy. Russia and its client secessionists have only partially succeeded thus far in their greater ambition in pursuit of which Ukraine has come close to being a basket case of nerves and futile rage over their misfortune in a brutal neighbourhood. Will there ultimately be war, or not? Ukraine is no match for the Russian military; the sneak preview has been instructive and demeaning to Ukraine, leaving it ragingly demoralized. So far the rebels have attained less than half of the Donbas. Before the new ceasefire the rebels made it clear their long-range plan included the whole of the Donbas. The Mariupol land bridge to Crimea is vital to that plan. The Ukrainians have succeeded in cutting off the water supply and land transport to Crimea, and that would collapse as a lever in hopes of restoring the Crimea to its rightful owner, if Mariupol fell. 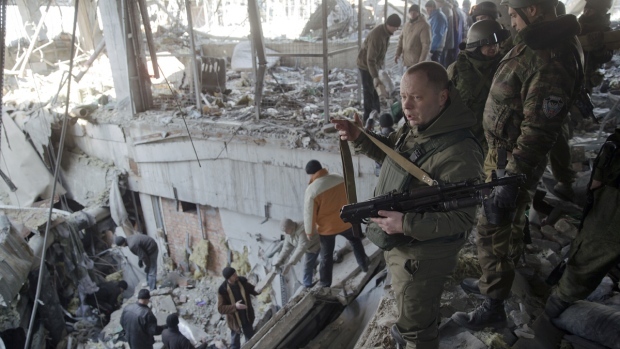 The rebels have now accused the Ukrainian army of shelling Donetsk. And the Ukrainian military has stated that separatists attacked government forces in Shirokino, east of Mariupol, and in Peski, outside Donetsk. According to Ukrainian commanders, a buildup of separatist forces near Mariupol has become a reality. They accuse Russia of repeated aerial reconnaissance missions, raising fears of an attack impending to seize the port city. An attack on Mariupol, should Shirokino fall, would present as an operation in a large scale, taking weeks to prepare. 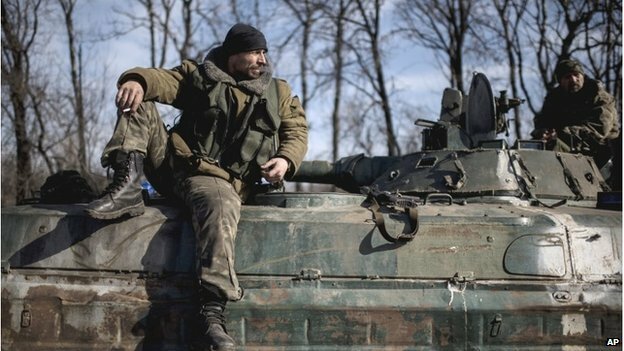 Under the February 12 Minsk agreement, both sides have two weeks to withdraw artillery and tanks out of striking distance, and both agreed at the weekend to begin withdrawing heavy weapons shortly. An initial prisoner exchange has taken place. On the other hand, since both sides claim that firing is continuing, the withdrawal process will be suspended. Not to worry, however; although Mr. Putin sneers at Ukraine's contention that it must have the return to its possession of the Crimean Peninsula, recommending that Ukraine be more concerned about its fragile economic position, he also states with confidence that there will not be a larger, extended war. "I think that such an apocalyptic scenario is unlikely and I hope this will never happen," he said. If the Minsk agreement was implemented, eastern Ukraine would "gradually stabilise". The courageous, historic speech yesterday by the Grand Imam of al-Azhar University, the seat of Sunni Islam, calling for the reform of Islam, was the result of the even more courageous, historic speech delivered a few weeks ago by Egypt's devoutly Muslim President, Abdel Fattah El-Sisi. The Muslim Brotherhood, the current American administration's great friend, is the tree whose fruit is the Islamist terrorism embodied by the ISIS, Al-Qaeda, Hamas, Palestinian Islamic Jihad, Al-Nusra Front, Boko Haram and others. Apparently some of the Sunni Arab States have not yet realized that their own national security, and ability to withstand Iran, depend on how strong Egypt is. It is possible, in fact, that U.S. policy is to weaken the Sunni world seeking to unite under el-Sisi's flag of modernity. With European complicity, the U.S. Administration is trying to defraud the Arabs and turn the Israel-Palestine conflict into a center of Middle Eastern chaos, in order to hide the nuclear deal they are concocting with Iran. The treachery of the U.S. Administration is the reason why Egypt's faith in the United States, which is supposed to defend the Arabs against a nuclear Iran, has effectively evaporated. And now the greatest American insanity of all time: America and Turkey are arming and training Islamist terrorist operatives in Turkey, on the ground that they are "moderates" opposed to Bashar Assad's regime in Syria. They either ignore or are unaware that there is no such thing as a moderate Islamist terrorist. The other name of the "moderates" opposing Assad is ISIS. The Muslim Brotherhood, in effect, runs Turkey. According to recent rumors, Turkey is also planning to build a nuclear reactor, "for research and peaceful purposes." Sheikh Dr. Ahmed al-Tayyeb, the Grand Imam of Cairo's Al-Azhar University, the seat of Sunni Islam, yesterday delivered a courageous, historic speech in Mecca, Saudi Arabia, urging reform in religious education to curb extremism in Islam. Al-Tayyeb's address was the result of an even more courageous and historic speech, delivered a few weeks ago by Egypt's devoutly Muslim President, Abdel Fattah el-Sisi, at Al-Azhar University. El-Sisi's monumental statement, truly worthy of a Nobel Prize, is having a seismic result. Al-Sisi directed his remarks, about the ills of Islam to Islamic clerics in Egypt and around the world. It was enormously brave of him. He did not single out radical Islam, but he did call on all Muslims to examine themselves, carry out a religious revolution and renew their faith. El-Sisi, a man of monumental courage, urged Muslims not to behave according to the ancient, destructive interpretations of the Qur'an and Islam that make the rest of the world hate them, destroy Islam's reputation and put Muslim immigrants to Western countries in the position of having to fight their hosts. He claimed that it is illogical for over a billion Muslims to aspire to conquer and subdue six billion non-Muslims. Islam deals in depth with uniting the Muslim nation (umma) and mutual responsibility among Muslims, as though they were one entity. The Prophet Muhammad (S.A.A.W.) said that every drop of Muslim blood is more precious than the entire Kaaba. Thus the liberty ISIS took upon itself to burn alive a Jordanian pilot and 45 Egyptians, to spread terrorism throughout Syria, Iraq and Egypt and to kill other Muslims in various locations around the globe, claiming they were "infidels," is heresy in and of itself. The calls for the deaths of "a million shaheeds" and the killing of Jews for the sake of Al-Aqsa mosque in Jerusalem, as was done by Arafat in the past, and is being done now by his heirs in the Palestinian Authority and Hamas, are a crime; they are extremist incitement that is opposed to the forgiving and compromising spirit of Islam. The murder and terrorism carried out by terrorist organizations such as ISIS, Hamas, Palestinian Islamic Jihad [PIJ] and other Islamist organizations against Jews, Christians and other non-Muslims is contrary to the modern Islam needed in the contemporary era. El-Sisi was correct that the Muslim Brotherhood's Sunni ideology, which drives most of the extremist Islamist organizations around the world, preaches forced conversion of "infidels" to Islam at any price, or death. Some of the "infidels" are supposed to join Islam of their own accord (targ'ib), out of self-serving interest, and some not of their own accord (tarhib), out of fear and death threats. Such conversions are also contrary to the original Islam, which states that no one is to be forced to convert to Islam and that a calm religious dialogue should be held. 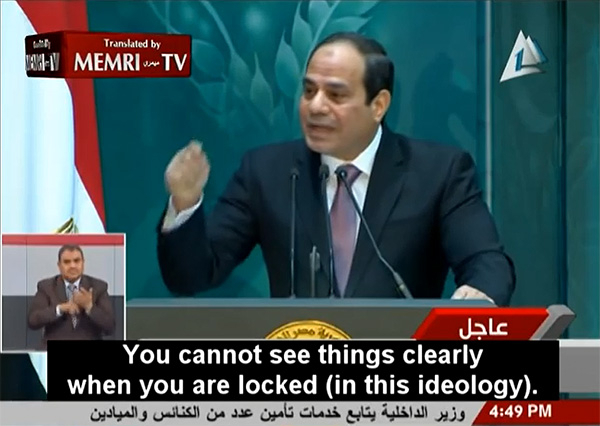 However, a few days after President el-Sisi's speech, which attempted to unify Muslims and Christian Copts, the Muslim Brotherhood and their affiliated terrorist organizations increased their attacks on Egyptian civilians and security forces throughout Egypt and the Sinai Peninsula, as well as murdering 21 Egyptian Christian Copts in Libya. The Muslim Brotherhood knows that behind the scenes, U.S. President Obama supports the movement, especially the branch in Egypt seeking to overthrow President Sisi. This approval from the U.S. encourages the Muslim Brotherhood to be even more determined to subvert and undermine Egypt's stability, sabotage its economic rehabilitation and destroy the el-Sisi regime. In this atmosphere of American support, the Ansar Bayt al-Maqdis terrorist group in the Sinai Peninsula operates under Muslim Brotherhood protection. It recently changed its name to the "Sinai Province" of the Islamic State and swore allegiance to the "Caliph," Abu Bakr al-Baghdadi. It is currently working hand-in-hand with Hamas in the Gaza Strip to weaken el-Sisi's Egyptian forces in the Sinai Peninsula. Other Islamist terrorist organizations also kill Egyptian civilians and security forces with bombs and assault rifles. In the name of the Muslim Brotherhood's ideology, they indiscriminately attack people on public transport, in airports and in public places, with the intent of retaking control of Egypt. For this reason, an Egyptian court recently designated Hamas a terrorist organization, along with its military wing, the Izz al-Din al-Qassam Brigades, and outlawed both of them. In response, Qatar, a slippery agent in the service of America but also, treacherously, in the service of Iran, allowed armed Izz al-Din al-Qassam Brigades operatives to be interviewed by its Al-Jazeera TV. The operatives called the Egyptian president a traitor to the Islamic-Arab cause and to those seeking to "liberate Palestine." At the same time, Qatar continues to use its Al-Jazeera TV to broadcast hate propaganda targeting the el-Sisi regime, to disseminate videos and to fabricate insulting quotes intended to cause friction between el-Sisi on one side and the leaders of the Arab world and the Gulf States on the other -- and to keep them from giving hungry Egyptians economic aid. As the date for the economic conference in Sharm el-Sheikh (in the Sinai Peninsula) nears, Al-Jazeera's propaganda machine has moved into ever-higher gear. Apparently, some of the Sunni Arabs states have not yet realized that their own national security and ability to withstand Iran depend on how strong Egypt is. The U.S. Administration could easily halt the subversion of Egypt, but not only does it turn a blind eye, it suffers from a peculiar form of ignorance that makes it fight ISIS while at the same time supporting the Muslim Brotherhood, the hothouse of most Islamic terrorist organizations, including ISIS. The damage done to Egypt and the cracks in the weak Sunni Muslim ranks in the Middle East will eventually harm American interests and expose the Gulf States to the increasing Iranian threat. The Muslim Brotherhood, the current American administration's great friend, is the tree whose fruit is the Islamist terrorism embodied by ISIS, Al-Qaeda, Hamas, Palestinian Islamic Jihad, Al-Nusra Front, Boko Haram and others. This linkage has become obvious to all the Arab states, while the U.S. and Europe steadfastly ignore the danger to their own survival, and refuse to outlaw them. It is possible, in fact, that U.S. policy is to weaken the Sunni world that is seeking to unite under el-Sisi's flag of modernity. With European complicity, the U.S. Administration is trying to defraud the Arabs and turn the Israeli-Palestinian conflict into a center of Middle Eastern chaos, in order to hide the nuclear deal they are concocting with Iran. That is why the West does not really want to rehabilitate the Palestinian refugees by settling them in the Arab states, and why the West continues to nourish false Palestinian hopes that perpetuate this conflict. The treachery of the U.S. Administration is the reason why Egyptians' faith in America, which is supposed to defend the Arabs against a nuclear Iran, has effectively evaporated. In the meantime, Iran's Houthi proxies have taken over Yemen, threatening the entire Persian Gulf from the south. The el-Sisi regime is currently in the market for new allies, such as Russian President Vladimir Putin. Putin recently paid a visit to Egypt to examine the possibilities of building a nuclear reactor, sounding the first chord of a regional nuclear arms race. The problems of the Middle East begin in the United States: that was the claim of participants in the Al-Jazeera TV show, "From Washington." They described American policy towards Egypt as hesitant, indecisive and undemocratic. They claimed that the U.S. Administration had not yet decided whether or not to support el-Sisi, who heralded change and the willingness to fight radical Islam (a fight America used to participate in) or to remain neutral and waffle, in view of Egypt's presumed instability. The Americans seem to be putting their all money on the extreme Islamists, who they seem to think will eventually win the bloody conflict currently being waged in Egypt. The Americans have forgotten that under Mubarak, the regime turned a blind eye to attacks against Israel that were carried out by the Muslim Brotherhood and their carefully fostered agents. Unfortunately, since el-Sisi was elected, Egypt itself has become a victim of radical Islamic terrorism. The U.S. Administration, however, appears clearly to hate el-Sisi, and seems to be doing its utmost to undermine him and see him thrown out. Under ousted President Mohamed Morsi, Egypt was tolerant and patient toward the U.S. Administration's best friends, the Muslim Brotherhood, as well as Islamist and Palestinian terrorist organizations such as Hamas, Ansar Bayt al-Maqdis, Al-Qaeda, and Palestinian Islamic Jihad, all of which set up camp in the Sinai Peninsula. These terrorist groups smuggled weapons in from Iran, Sudan, Libya and Lebanon; dug smuggling and attack tunnels; developed missiles and carried out terrorist attacks "only" against Israel, the current U.S. Administration's other apparent enemy, even though so many American Jews foolishly voted for them. Now those same Islamist and Palestinian terrorist organizations are striking a mortal blow to the security or Egypt, and killing its civilians and security personnel. The Muslim Brotherhood, mindful of America's pro-Islamist policy toward it, is deliberately indulging in a wave of terrorism in Egypt and the Sinai Peninsula. Muslim Brotherhood operatives there are targeting civilians, public transport, airports and natural gas pipelines, all to undermine Egypt's internal security and bring down el-Sisi's regime in favor of extremist Islamists and a nuclear-threshold Iran. In the current international situation, the U.S. Administration has apparently finally cut a deal with Turkey -- which will be flimsy and ethereal -- that allows Turkey to do the only thing it really cares about: to bring down the regime of Syria's President, Bashar al-Assad. The U.S. is also trying to cut a deal with Qatar, which along with Turkey openly supports the Muslim Brotherhood and its terrorist proxies in Egypt, Gaza, Syria and Iraq, who in general work against Western interests. The ironic result is that Turkey plays host to both NATO and senior Hamas figures, while it deliberately ignores the slaughter by ISIS of Kurds and other ethnic minorities in Iraq and Syria. The Muslim Brotherhood, in effect, actually rules Turkey. Turkey's President Recep Tayyip Erdogan and his AKP party make it easy for foreign fighters to cross the Turkish border into Syria and join the ranks of ISIS. Meanwhile, the Turkish government wages a diversionary propaganda war against Israel. According to recent rumors, Turkey is also planning to build a nuclear reactor, "for research and peaceful purposes." Another surreal result is that Qatar hosts the U.S. military bases, while it finances and encourages terrorist organizations operating against Israel and Egypt. It also panders to Sheikh Yusuf al-Qaradawi, the spiritual mentor of the Muslim Brotherhood, an Islamist terrorist who issues fatwas permitting the murder of civilians and approves death sentences for apostasy. And now the greatest American insanity of all time: the U.S. and Turkey are arming and training Islamist terrorist operatives in Turkey, on the grounds that they are "moderates" opposed to Bashar Assad's regime in Syria. They either ignore or are not aware that there is no such thing as a moderate Islamist terrorist. The other name of the "moderates" opposing Bashar Assad is ISIS; Iran's Supreme Leader, Ali Khamenei and Hezbollah's Hassan Nasrallah are now even saying that the U.S. is arming ISIS. In the meantime, the Egyptian army continues its struggle against Islamist terrorist targets in the Sinai Peninsula and Libya, unaided, and even undermined, by the U.S. In view of the U.S. Administration's collaboration with the Muslim Brotherhood and terrorist organizations in the Gaza Strip, I am persuaded that in the near future it will be possible to find a joint Egyptian-Israeli-Palestinian formula for eradicating the Hamas-PIJ enclave of terrorism, this time by Arabs. Most ironically of all, in the shadow of American zigzagging, a joint Arab-Israeli front is developing against Sunni and Shi'ite radicalism, and the Palestinians can only profit from it. Thus el-Sisi, who, with towering vision and courage, dares to speak openly about the tree of radical Islam and its fruit, when others are afraid, is a truly great Islamic hero.